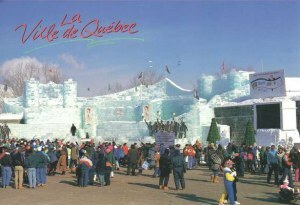 The Quebec Winter Carnival (French: Carnaval de Québec) Festival is a festival held in Quebec City. The festival's events include a winter amusement park, with attractions such as skiing, snow rafting, ice sculptures, snow sled slides and outdoor shows and it is usually held in February. In 2013, the carnival runs from February 1 to 17.